It’s been over four months since New York Deep was published, and it’s absolutely flown by. I don’t think I’ve ever been so anxious! But, thanks to you, it’s done pretty well. The reviews are mostly positive, people seem to like it—what more can a guy want from a book? Well, how about an audiobook? Yep, that’s coming out on April 28th. Looking forward to that! 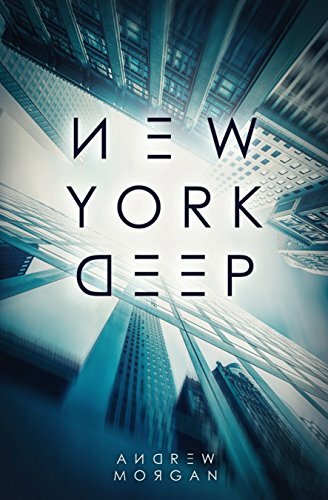 To celebrate, I’m giving all of you that haven’t yet had the chance to read New York Deep yet the opportunity to read it for free. You can win it—and a bunch of other sci-fi books—here. Next on the horizon is something different from me—a young adult book. I’m hoping it’ll be a great read for adults too, but to give you the gist, it’s about a kid who lives on board a faraway space station with his parents and 50 other families. Got any thoughts on anything you’d like to see in it? Let me know! My latest book, New York Deep, has now been published. You can get it on Amazon here. Thank you all for getting involved and helping me produce this work. I hope you all enjoy it! If you can get your friends and family to purchase and review it too, that would be amazing. The better it performs, the sooner I can write more books! That’s the title of my next book. New York Deep. It’s about a tunnel engineer called Josh Reed, who discovers a mysterious room beneath Central Park during the excavation of the East Side Access extension tunnels. The CIA get involved, there’s a whole conspiracy—it’s pretty cool. At least I think so anyway! But you guys don’t have to wait that long, because I want to extend an invitation to get hold of a free advanced reader copy so you can tell me what you think of it before anyone else. That’ll be available on the 10th, so if you’d like a free advanced copy to review on Amazon.com, drop me a message at thisisandrewmorgan@gmail.com or on the contact link top right and I’ll make sure you get one. I hope you’re all as excited for it as I am! As I type, I sit in wait of my agent’s opinion of my latest novel. I never realised it was possible to feel sick and excited at the same time before, especially not for this kind of duration. Occasionally I forget, but not for long, and the spike of adrena-nausea that follows is more than enough to make up for that brief respite. You see, this is the first book that I’m seriously hoping to put in front of a publisher, and they—understandably—will want to have exclusivity. It’s a shame, because I’ve enjoyed sharing the progress of my works with you all before, but such is the way these things go. As the release gets closer—published or self-published—I’ll begin to share, and for those of you subscribed, I’ll be issuing free advanced reader copies to gather some opinions, but until then, it remains a secret. Maybe that’ll build some anticipation, maybe it’ll just annoy you. Who knows. I certainly don’t! What I do know is, and this is all I can share for now, is that the book is set in New York and was a real melon-scratcher to write. I hope you’re all enjoying New Dawn. I’d love to know what you think of it, good or bad. I rely on feedback from people like you to improve, so anything you can share would be massively appreciated.